But before even getting the job, these young people will have to go through interviews and convince the prospective employers they could meet their requirements and expectations. Some will lose out because of lack of experience. But how could a new graduate not be given any opportunity to develop their professional skills in the first place? For some, rejection may even affect their confidence. They should be given the opportunity to be hired and trained so that they could learn to perform their best. For those desperate to uplift their family’s status by coming out to work and alleviating their parents’ financial burden, the task of finding a job can be daunting. Furthermore, our parents have drummed into us that education is our ticket to a better life. Indeed, many of us have studied hard for our future. Not true. Everyone goes through the same process of finding job, sending resume, attending interview. Employers never expect fresh graduates to have years of experience. 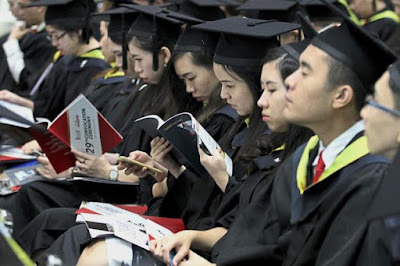 Survey has shown that in Malaysia fresh graduates do not get a job because of unrealistic salary and poor command of English. This letter should have been more aptly titled as "the laments of fresh graduates not able to get a job".